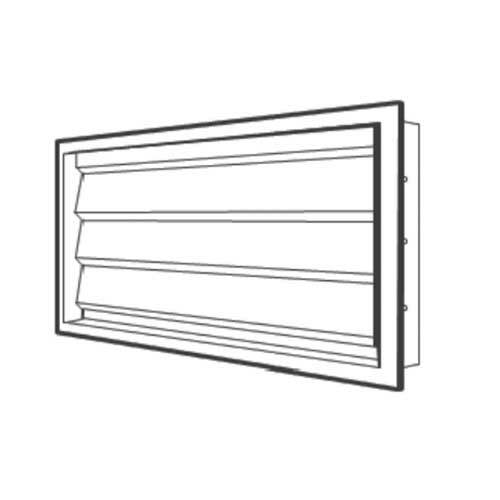 Fixed blade external louvres are traditionally suited for air intake or discharge at duct work start and end of building elevations. FBLs are often utilised as an architectural feature to modern building design with their versatility lending itself to configurations of circular or trapezoidal designs. Roof top plant screening is also available. 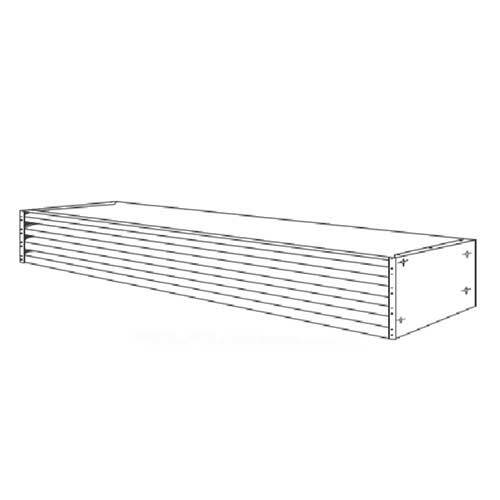 Fixed blade external louvres are traditionally suited for air intake or discharge at duct work start and end of building elevations. They are also often utilised as an architectural feature to modern building design with their versatility lending itself to configurations of circular or trapezoidal designs. Fixed Blade Louvre for roof top plant screening is also available. Full details of these special units are available from our sales office who can offer a full design service. 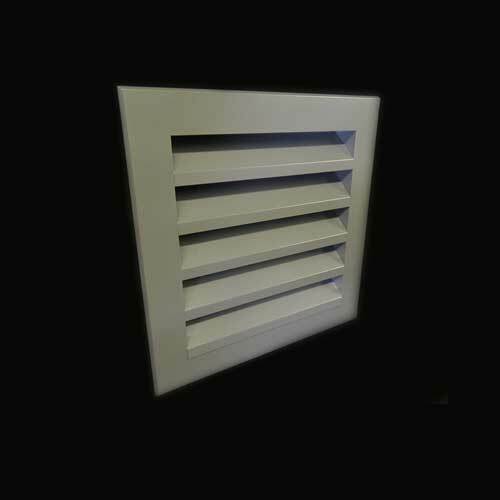 Both narrow blade (pitch of 38mm) and wide blade (pitch of 76mm) external louvres have 45° blade extrusion with an integral rain lip. Standard 38mm wide undrilled outer flanges in aluminium have fully welded mitre corners as standard, with reverse angle flanges for recess mounting also available as an alternative. All units are complete with a bird screen. Insect screens and extended lower rain lips are available optional extras. 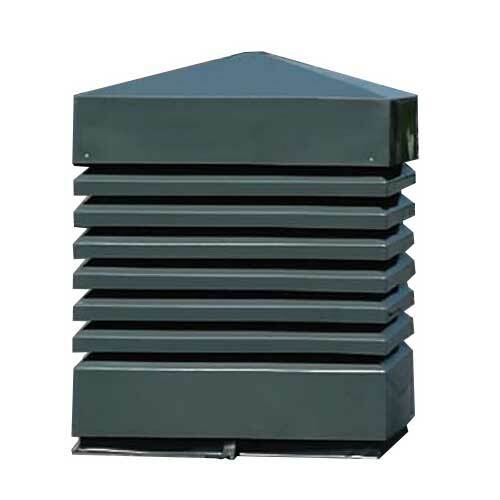 External Louvres are supplied in Mill Finish as standard, or polyester powder coated to the customers colour requirement.